Cystinuria — a life-changing condition. PharmaKrysto is an early-stage research and development company — our mission is to develop new treatments for people with Cystinuria, and improve their quality of life. There is a group of adults and children who experience severe, frequent pain and complicated kidney disease, caused by deposits of large amino acid crystals in their kidneys. This medical condition is called Cystinuria. Cystinuria is caused by faulty genes that code amino acid transporters in both kidneys. This problem in amino acid absorption causes high concentrations of an amino acid called cystine in the urine. This crystallises, as stones, in the kidneys. These stones block the flow of urine, causing pain and infection. Surgery is often the only way of removing them. Damage to the kidneys caused by surgery, and repeated infection can cause progressive and permanent kidney failure. 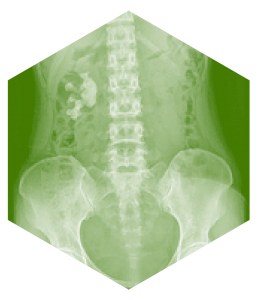 Severely affected patients can have many kidney stone events each year, causing significant disruption to work, family life as well as education of younger patients. There are about 45,000 and 100,000 people in the US and EU with Cystinuria; most people have their first kidney stone episode in their teens or early 20’s. There have been no new treatments introduced for over 30 years for people with Cystinuria. Current treatments to prevent cystine stones are effective in around half of the patients that take them. These older treatments have significant side effects, including skin rashes, liver and bone marrow disorders. The experiences of people with cystinuria and discussion on current and new potential treatments have been featured in the Spring 2018 edition of the digital magazine RareRevolution here. A group of chemists have discovered a method of blocking the growth of cystine crystals, through the use of newly invented molecules. These have the potential to become a medication that could be taken as a tablet and prevent the growth of cystine stone; they work in a completely different way to current therapies and could become a useful treatment without severe side effects. Our goal is to develop these molecules to see if they are safe and effective in preventing stones in people with Cystinuria. We are an experienced team of drug developers who were inspired to set up PharmaKrysto when we understood what people with cystinuria experience; and how a new and effective therapy could change their lives in a positive way. Our company is at an early stage of developing new treatments, and it will be a few years before we are able to start the testing of any new products in people. Any new testing will be in clinical trials to enable us to learn about the safety and effectiveness of a treatment before it can be made more widely available to people with Cystinuria. Please be aware that we are not able to offer any individual medical advice and we do not have treatments that we can offer on a ‘compassionate use’ basis.